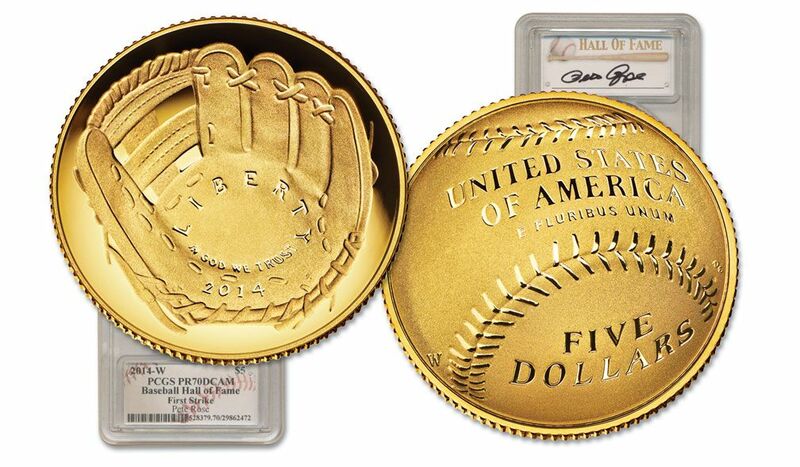 The National Baseball Hall of Fame and the U.S. Mint have just released the FIRST EVER 3-D curved American coins. 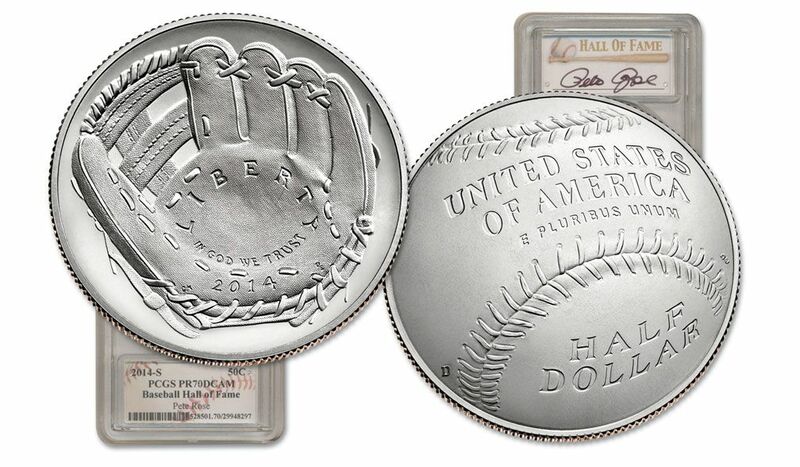 These U.S. legal tender curved coins have been issued to honor the 75th anniversary of the National Baseball Hall of Fame and Museum. The public went crazy from the first day of release, and nearly all of the various denominations in gold, silver, and copper-nickel sold out immediately. But in the midst of the crushing demand, GovMint.com secured an exclusive allocation of three of these first ever curved American coins. 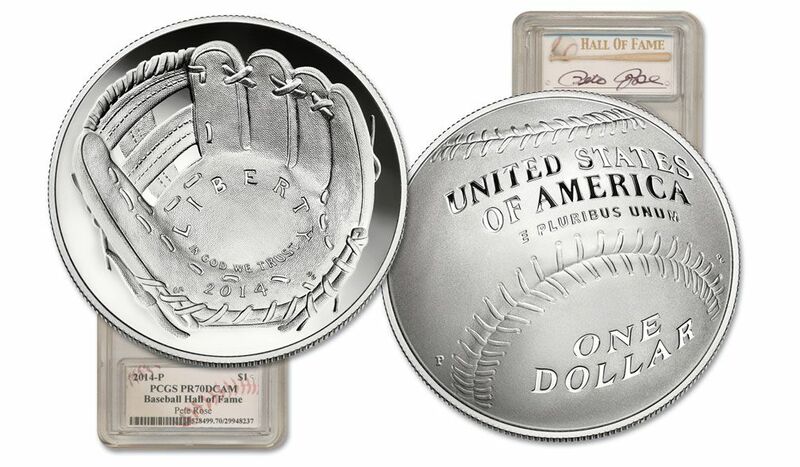 PCGS certified to be perfect Proof 70 grade, each coin also bears the personal autograph of baseball All-Star, Pete Rose - holder of 14 major league records and one of the greatest players of all time. This exclusive 3-piece set contains the 2014-S Mint State-70 copper-nickel Half Dollar, the 2014-P Proof-70 Silver Dollar, and the 2014-W Proof-70 $5 Gold. This exclusive set includes THREE authentic hand-signed Pete Rose autographs. 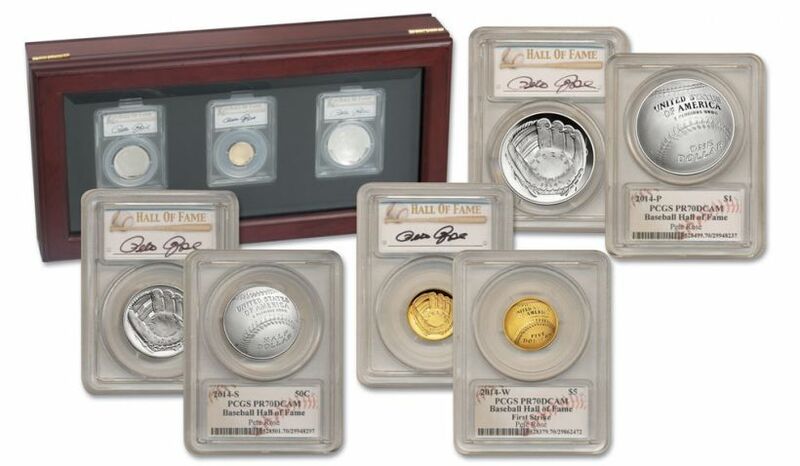 They’ll be GOING...GOING...GONE any day now, but you can secure the best of the best in one impressive collection - or lock in just the top-grade Silver Dollar.